Todays topic is, a bit unexpectedly, about jewellery. While the blog was down, I acquired two nice pendants for myself. 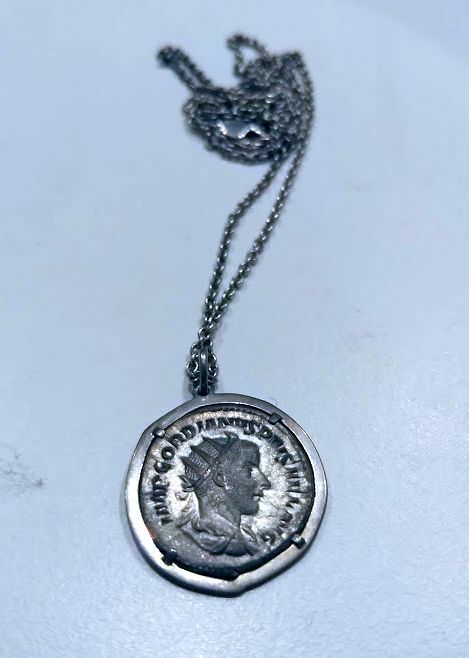 The first one is a roman silver coin mounted to a chain. 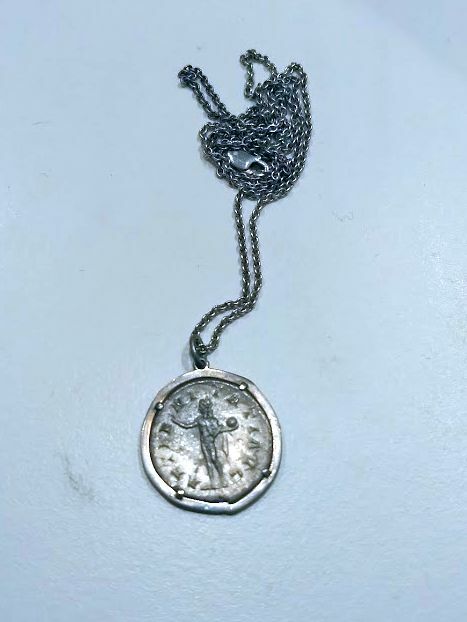 It shows Sol Invictus / Gordianus III (yes, that makes it pre-christian). I am currently very much interested in Roman history and felt it to be a great idea. 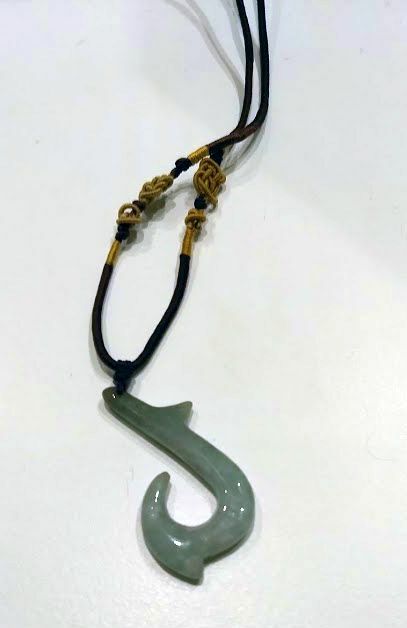 The second one is a jade fishhook from Hawaii, a nice example of pan-pacific craftsmanship. The seller was very nice and commented favourably on my "monkey king" shirt (actually a Dragonball one with Son Goku, but he was based on the monkey king from Chinese lore, I consider this to be quite spot-on). Lets see if the future will bring more bling. 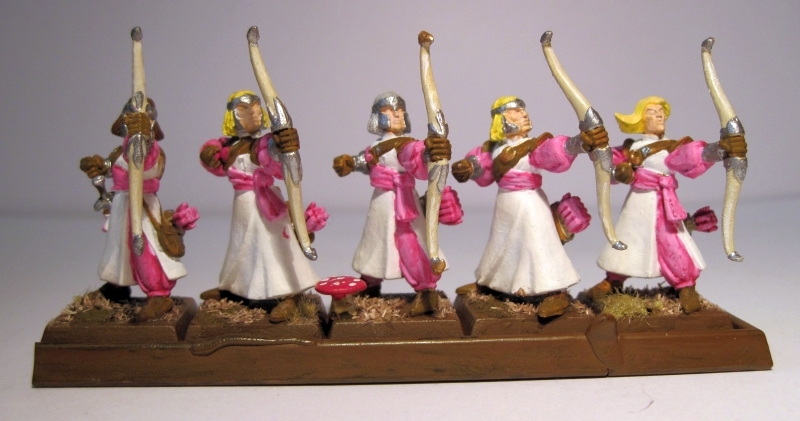 Nothing more fit to start the tabletop archaeology project then some of my High Elves (Warhammer) or Highborn Elves (9th Age). 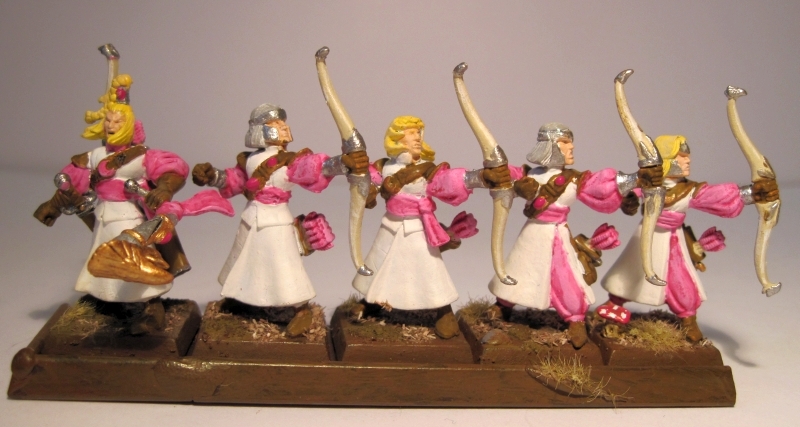 These were painted a lot of years ago in my semi-legendary pink and white scheme. Who else is fit to display majestic pink if not Elves? For the basing, I went with an autumn forest theme, as seen here by dry grass and mushrooms. There is a fitting display that I will show at a later date. Our holiday in Riga in February 2017 featured surprisingly warm weather and a great time in Latvia. My pre-conference holiday on Hawaii saw volcanoes, Pearl Harbour, great food and black sand. if you are curious, check them out! So far, there are 52 episodes online (as well as some other stuff like eight Chronsega episodes) and while the backlog to watch might be... huge, the release speed of new videos is low due to the necessary amount of research. This means catching up is actually possible! I like this channel because it is the easiest way to get an overview over the whole NES catalogue in more than just some pictures. Maybe you are interested too? But what about tabletop gaming? As the Epic Adventures originally started as a blog about tabletop gaming and miniatures, this is a legitimate question. I have not abandoned it totally, but other things have taken up more of my time recently. This was also heavily affected by Games Workhops decision tot ally abandon the thought of well-designed rules for their game, which did not only stop me from playing Warhammer. 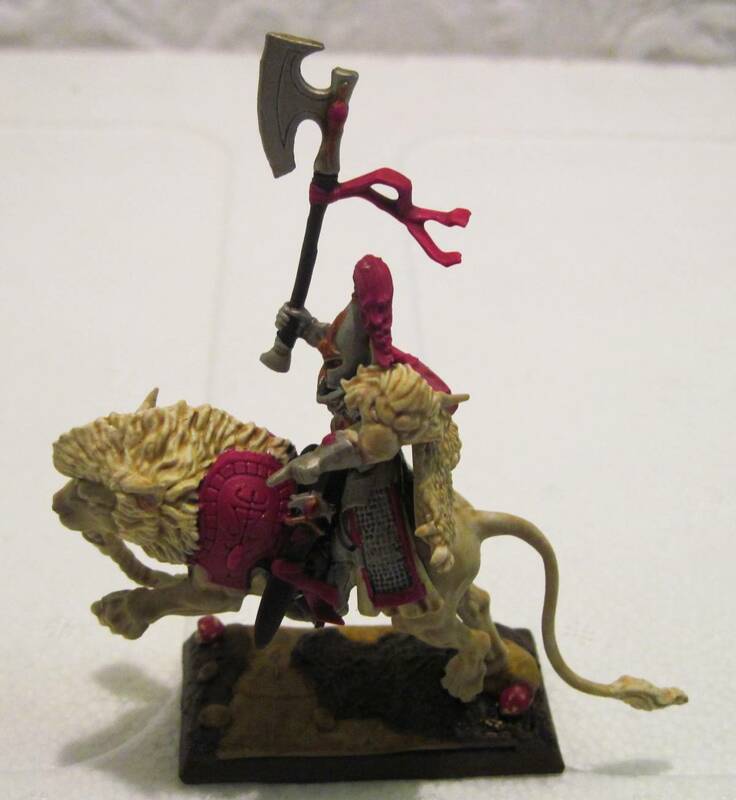 But now some time has passed and the community has created something new in the tradition of Warhammer: The 9th Age, a game that fills the void of Warhammer for most people. Actually, quite recently the beta version 2 was released and looks very good to me, but more about that at another time. If you are interested yourself, you can check out the plans for its future here and try to play a round or more yourself. All the stuff you know from before is still in the game, minus most of the "What were they thinking?" moments. Regarding the multitude of other games in the market, time is again the constraint. Would Star Wars Armada have been released a decade earlier, I guess I would dig that most, but now I do not want to commit to that. Uncharted Seas was played by me, but has been utterly dead for quite a while now. And while there is Kings of War as a contender for fantasy wargaming, it has never caught me. Therefore you can expect some miniature/9th Age posts and admittedly a lot of archeology about my earlier projects. A quick note as it is starting this evening: Awesome Games Done Quick, the biannual video game speedrunning event for a good cause has started again. If you are interested in these things, you might check out the stream.You can also look at the schedule here! We recieved a very nice present recently which contained a multi-part miniature of Nessie, Scotlands favourite cryptid. 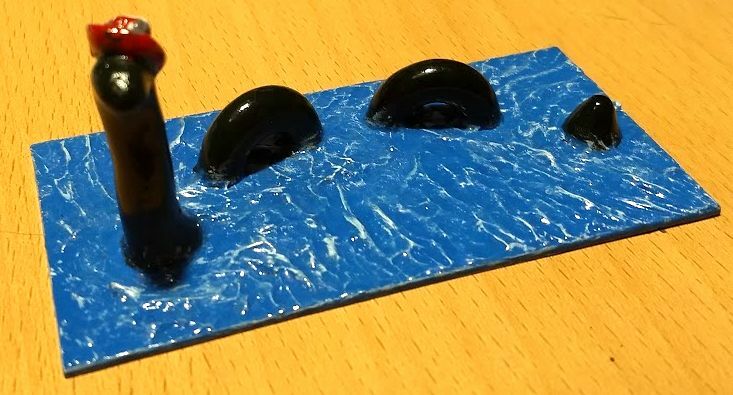 As the individual parts would be easily lost (looking at the cats here) I mounted it onto a 50x100 mm tabletop base and used my experience to create water effects a long time ago for Uncharted Seas (RIP). Afterwards, Nessie was added to the international trinket collection. Thanks again to our kind benefactor! Some people might know and still remember Gradient of Disorder, the... special metal band founded in a physics lecture. Good news first: We are still around! For all who do not know us, you can check out our homepage or youtube channel. More realistic news: While we had planned to release our first album over a year ago, not too long after our ten-year-anniversary, this got delayed by acute cases of life distracting us. But the album recordings are in fact still continuing, slow but purposeful. You can at least check out a teaser on youtube showing of the excellent sound quality! Indeed most songs are already wrapped up and heading for mastering, but enough fiddly bits are left to make me doubt a release in 2018. But definitely latest in 2019 it will happen! After the album release, we will definitely continue our infamous live shows, therefore stay tuned. 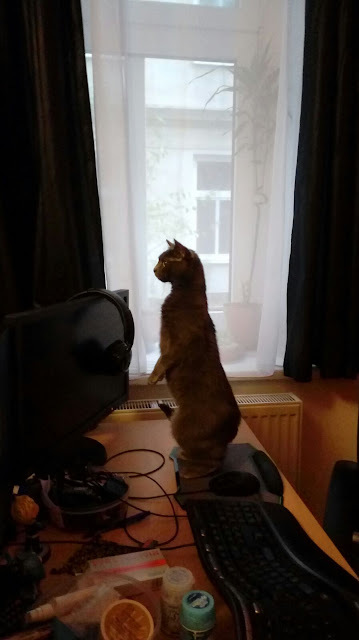 Therefore, I decided to start the year 2018 for The Epic Adventures featuring our feline overlords. First by age and time with us is Odysseus. He arrived in our custody when someone abandoned him in the foyer of our building, malnourished and neglected. 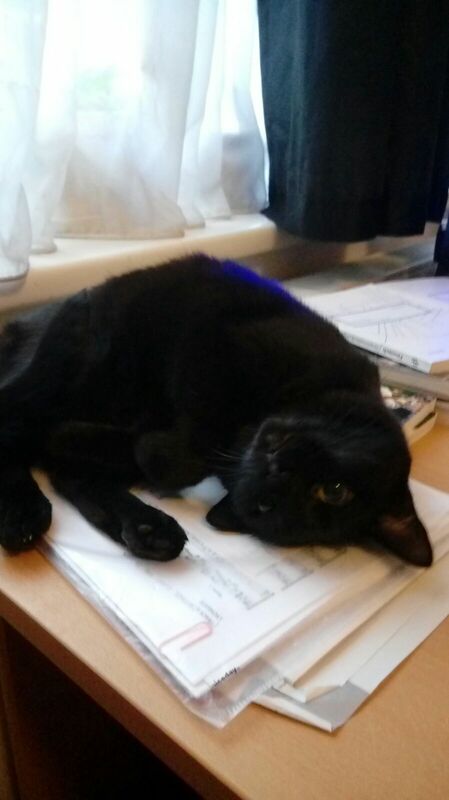 But being incredibly trusty and cuddly, he immediately captured our hearts. Growing a bit older, his youthful energy has dissipated a bit. 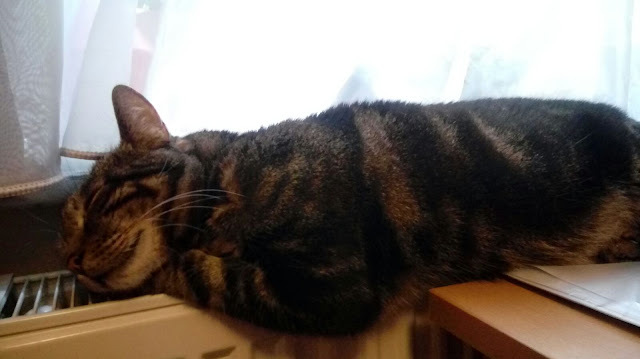 As a gentleman, he now enjoys melding with the radiator at least as much as chasing down the flat. Another connaisseur of radiators is Coco. Together with her daughter Lili she joined us to keep Odysseus from boredom and overdosing on heat. 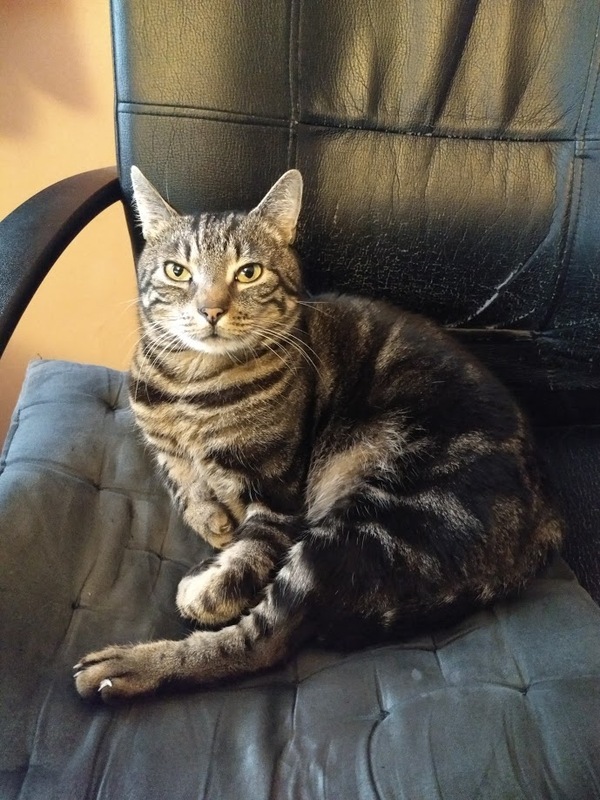 This strapping young lass is Lili. She is Cocos daughter and of diminiutive size. But this means that all the love and frenzy a cat can have is more concentrated in her. 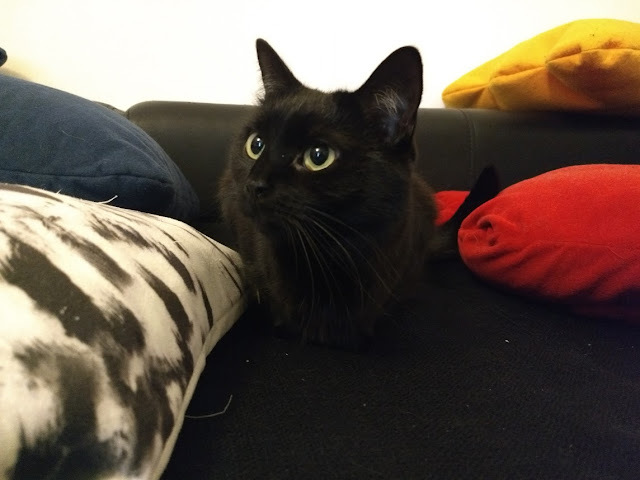 She will trustfully cuddle with the force of a stampede, even with total strangers, only to be scared an throw a hissing fit a moment later after being startled. She enjoys chasing Odysseus around very much. Nearly as much as taking a nap on the couch. I hope you all enjoyed looking at these catty pictures and agree that most things are better with cats.. May 2018 be better than 2017!